The US and its allies are preparing new airstrikes on Syria, the Russian Defense Ministry said, adding that militants are poised to stage a chemical weapons attack in order to frame Damascus and provide a pretext for the strikes. The attack would be used as a pretext for US, UK and French airstrikes on Syrian targets, Russian Defense Ministry spokesman, Major General Igor Konashenkov said. USS ‘The Sullivans,’ an Arleigh Burke-class Aegis guided missile destroyer, was already deployed to the Persian Gulf a couple of days ago, he added. The destroyer has 56 cruise missiles on board, according to data from the Russian Defence Ministry. 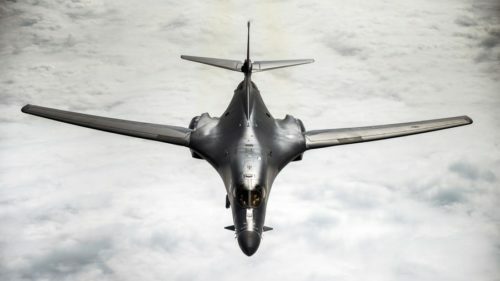 A US Rockwell B-1 Lancer, a supersonic bomber equipped with 24 cruise missiles, has also been deployed at the Qatari Al Udeid Airbase. In order to stage the attack, some eight canisters of chlorine were delivered in to village near Jisr al-Shughur city for the terrorists’ use, he added. A separate group of militants, prepped by private British security company Olive, have also arrived in the area. The group will be disguised as volunteers from the White Helmets group and will simulate a rescue operation involving locals purportedly injured in the attack, according to the military official. Russian Deputy Foreign Minister Sergey Ryabkov warned Washington against new reckless moves in Syria, RIA Novosti reported. 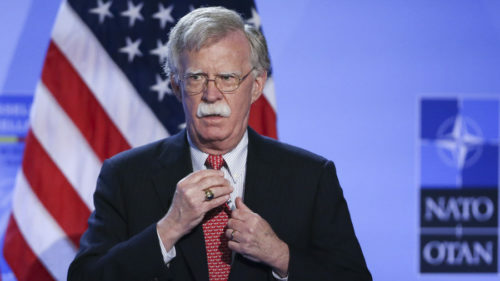 “We hear ultimatums from Washington, including those made in public,” the top official said, apparently referring to Bolton’s recent remarks. According to Ryabkov, the US is aiming to destabilize Syria and create new pretexts for regime change in Damascus. “Again, we are witnessing serious escalation of the situation [in Syria],” he added. In April, the US, UK and France unleashed a bombing campaign on Syria. The airstrikes were carried out in response to an alleged gas attack in Douma on April 7, which the West blamed on Bashar Assad’s government. The operation started hours before a team from the Organization for the Prohibition of Chemical Weapons (OPCW) was due to reach the city. Back then, Syrian defenses were scrambled to repel some 103 cruise missiles and air-to-surface missiles launched at civilian and military targets by the Western trio. It managed to intercept at least 71 of them, the Russian Defense Ministry said at the time. This article was posted on Saturday, August 25th, 2018 at 5:35pm and is filed under Chemical weapons, Disinformation, Militarism, President Bashar al-Assad, Propaganda, Russia, Syria, Terrorism (state and retail), United States, US Hypocrisy, US Lies, US Terrorism.